The ew 500 G4 Wireless Plug-On System from Sennheiser is the latest addition to their evolution series of wireless systems. It operates in the UHF frequency range and can be used with a condenser shotgun or a handheld microphone (sold separately), as part of a wireless RF transmission system for ENG (Electronic News Gathering), presentation, and live stage applications. The camera-mount receiver—with adaptive diversity technology—features 2000 selectable frequencies (50 MHz) and is tunable in 25 MHz steps. There are 20 fixed-frequency banks with up to 32 compatible frequency presets and 6 user banks with up to 32 user-programmable frequencies. Furthermore, the plug-on transmitter features 48V phantom power to power condenser microphones and is synchronized with the camera-mount receiver via an integrated infrared interface. Both units are powered by two 1.5V AA sized batteries. The black EK 500 G4 Pro Wireless Camera-Mount Receiver from Sennheiser is the latest addition to their evolution series of wireless receivers. 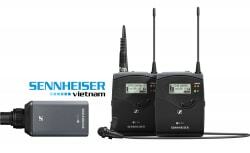 It operates in the UHF frequency range and can be used with a companion transmitter and microphone (sold separately), as part of a wireless RF transmission system for live stage, theater, film, video, and presentation applications. The camera-mount receiver—with adaptive diversity technology—features 2000 frequencies and is tunable in 25 MHz steps. There are 20 fixed frequency banks with up to 32 compatible frequency presets and 6 user banks with up to 32 user-programmable frequencies. This receiver is built with a menu-driven backlit LCD display showing current frequency, frequency bank and channel number, metering of RF level, volume level, line output level, lock status, battery status, muting function, and more. Also, the receiver is configured and synchronized with the transmitter via an integrated infrared interface, or it can be programmed in the receiver menu. Power is supplied to the receiver by two included 1.5V AA size batteries. 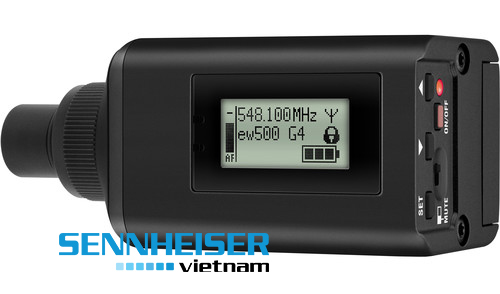 Finally, the EK 500 G4 receiver is built with a rugged metal housing. A 1/8 to 1/8" cable, XLR to 1/8" cable, and a CA 2 camera adapter are also included. 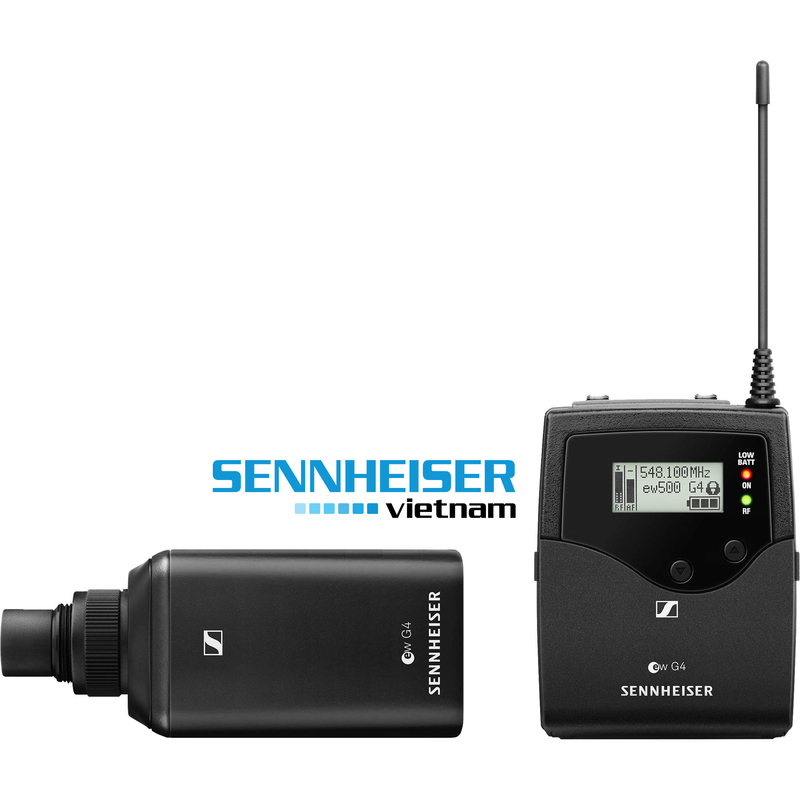 The SKP 500 G4 Pro Wireless Plug-On Transmitter from Sennheiser is the latest addition to their evolution series of wireless transmitters. 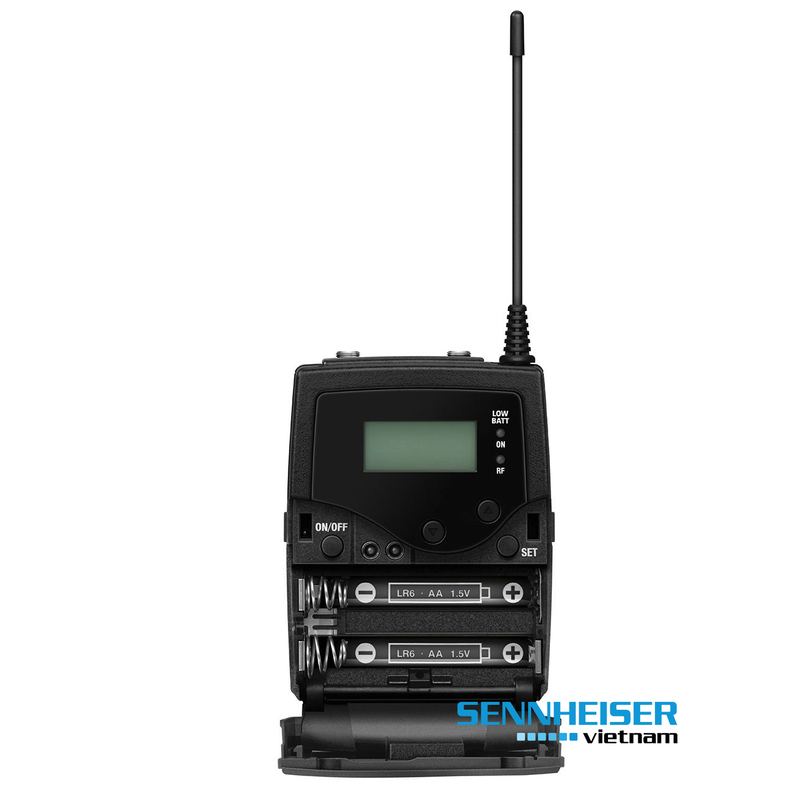 It operates in the UHF frequency range and can be used with a companion receiver and dynamic or condenser handheld microphone (sold separately), as part of a wireless RF transmission system for live stage, theater, film, and presentation applications. The plug-on transmitter features switchable 48V phantom power, 2000 frequencies that are tunable in 25 MHz steps, 20 fixed frequency banks, 32 compatible frequency presets, and 6 user banks with up to 32 user programmable frequencies. The transmitter's menu-driven backlit display shows the current frequency, frequency bank and channel number, metering of AF level, lock status, transmission status, muting function, battery status, and more. 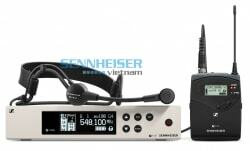 In addition, the plug-on transmitter incorporates a Sennheiser HDX compander system, a defeatable pilot tone squelch, and is equipped with a frequency range from 80 Hz to 18 kHz. Finally, power is supplied to the transmitter by the two included 1.5V AA sized batteries, or by one optional Sennheiser BA 2015 rechargeable accupack. A pouch with a belt clip is included.